Previous ArticleMy New Hair Oil. Next ArticleVlog #3: Parties & Pink Rats. This is all press accumulated since I have had my blog. My double page spread in Grazia Magazine about my trainer collection and style, page April 2013. Attending the '& Other Stories' Exclusive store opening, page March 2013. Telegraph Newspaper piece, Feb 2013. 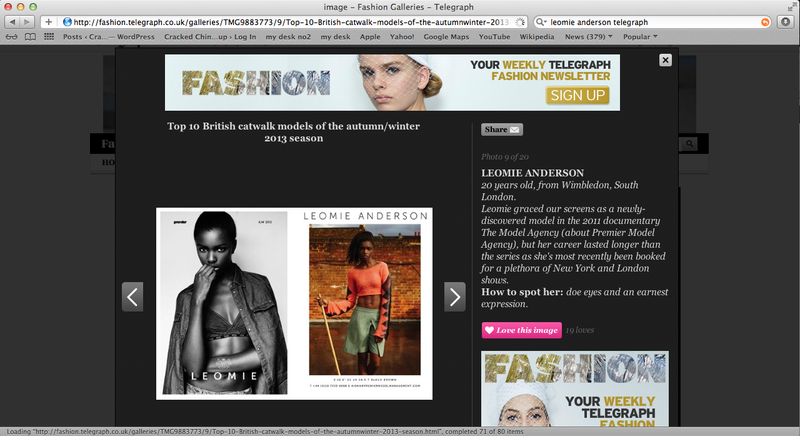 Telegraph Newspaper Piece, Feb 2013 Stella Magazine Feature, January 2013. 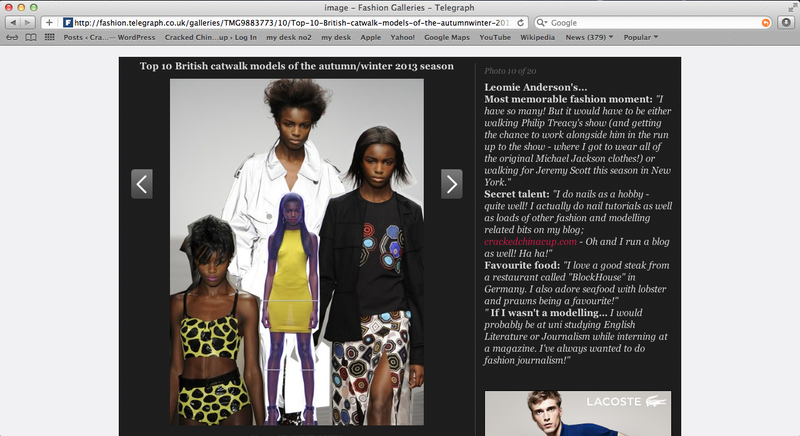 My Vogue Model Uniform Piece, December 2012 My interview with Kim and Kourtney Kardashian, November 2012. My Interview with MTVs online fashion website District MTV, more about June 2013. My double page spread in Grazia Magazine about my trainer collection and style, this site April 2013. Attending the '& Other Stories' Exclusive store opening, salve March 2013. Telegraph Newspaper piece, Feb 2013. 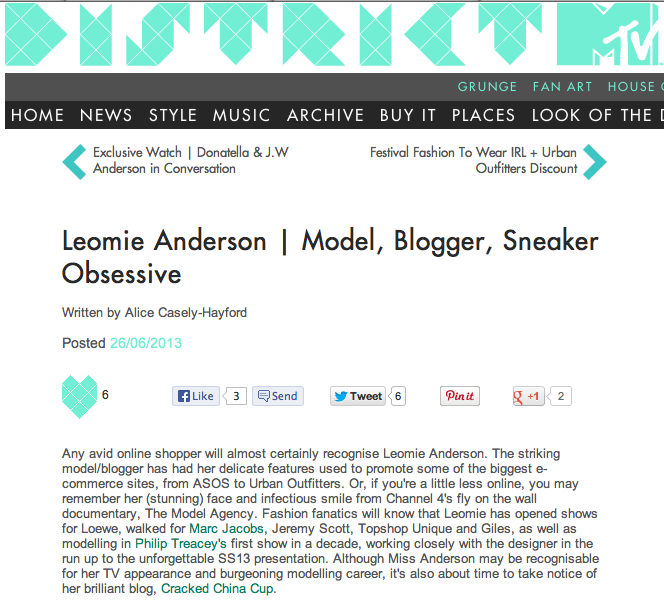 My Interview with MTVs online fashion website District MTV, decease June 2013. My double page spread in Grazia Magazine about my trainer collection and style, order April 2013. Attending the '& Other Stories' Exclusive store opening, March 2013. Telegraph Newspaper piece, Feb 2013. This is all press accumulated since I have had my blog. My Interview with MTVs online fashion website District MTV, more about June 2013. 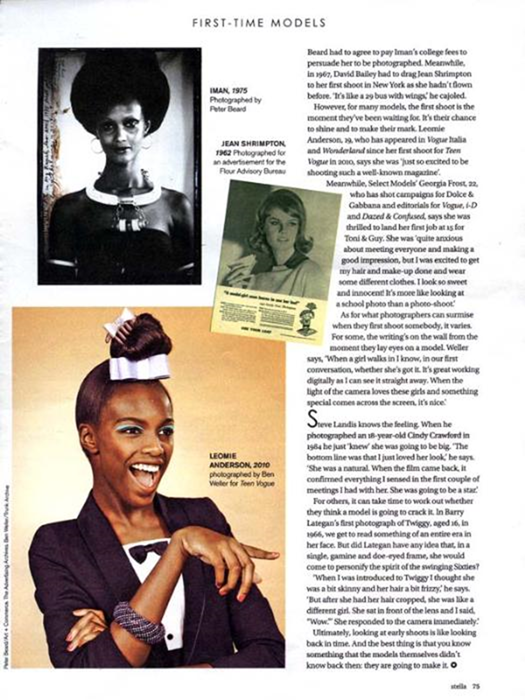 My double page spread in Grazia Magazine about my trainer collection and style, drugs April 2013. 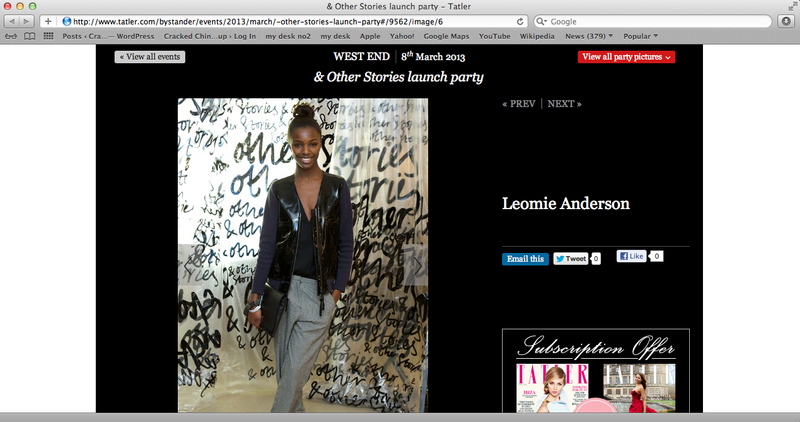 Attending the '& Other Stories' Exclusive store opening, link March 2013. Telegraph Newspaper piece, Feb 2013. Yesterday my friend Flaviana invited me to the event held by Russell Simmons to celebrate the one year anniversary of his and his business partners digital marketing company called 'Narrative'. This company owned by himself and his business partner Trish Clark- Stone has many high profile clients including GlobalGrind.com and more and is doing exceedingly well in its first year that of course a celebration was in order. I walked inside the candle lit venue and went upstairs to find Flaviana and saw a man with a hat sitting next to her conversing casually and to my surprise when he lifted his head it was in fact Russell Simmons, pills sitting amongst us. I must admit I was slightly starstruck because he is such an inspirational person and I just didn't imagine I would be sitting next to him or shaking his hand. of course me being Leomie I introduced myself as "Leomie from London" which I'm not sure was received well haha but he was lovely. Flaviana is a model (thats how I know her) and she was actually discovered by Russell Simmons whilst hosting a charity event in her native home Tanzania where he was the guest of honour. He immediately saw the potential in her and helped her get signed- she told me if it wasn't for him she wouldn't be where she is now. I found that story amazing and inspiring that he saw the potential in her straight of the bat and helped her; such a good man. The event turned into a little party after the socialising and of course i was singing the lyrics to all the hip hop tunes and shaking my shoulders to Beyonce with my girls then grabbed a goodie bag and headed home. It was such an amazing night and I really didn't expect to meet Russell at all which was a lovely surprise.